Our range of products include 820 series thermoplastic straight running slat chains, straight running rubber top chains, delrin sheet, stainless steel slat chains, stainless steel magnetic flex chains and stainless steel side flex tab chains. Our range of Straight Running Rubber Top Chains is known for their high strength, corrosion resistance, and better durability standards. 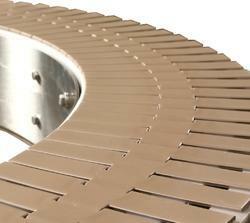 These chains are used in inclined conveyors and are ideal for glass bottles, pet containers etc. In order to provide complete solutions, we offer these top chains in customized options to clients. At par with the requirements of our esteem clients, we offer a wide assortment of Stainless Steel Slat Chain. Engineered using optimum grade of raw materials, these stainless steel slat chains find diverse application in various industries. Supplied in various sizes, our range is highly acknowledged for its high strength, corrosion resistance and durability. We manufacture stainless steel slat chains that are available in various sizes and can also be supplied with various kinds of attachments. 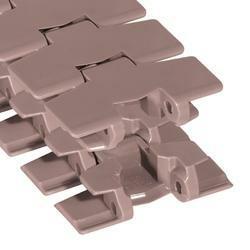 Made using durable quality material these slat chains are also corrosion resistant. 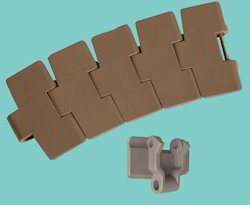 We bring to our clients a qualitative range of side flex magnetic flex chains, that can be availed in various materials and qualities, depending on working conditions. These chains are highly durable and known for their precise dimensions and corrosion resistance. 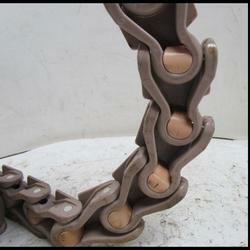 Further, we are also capable to offer these chains as per the specific requirements of the clients. Optimizing the advanced technology, we are manufacturing a range of superior quality stainless steel side flex tab chains that are highly demanded all across the globe. These chains are made using high grade stainless steel and are known for their high tensile strength and durability. Further, these are available in both standard as well as customized specifications. The Flex Bevel Guide Chains offered by us are designed using the latest technology and are suitable for handling glass bottles, pet containers, kegs, crates etc. These chains are available in various width, sizes, and other specifications to suit the diverse requirements of the clients. Designed with precision, our range of Slide Flexing Chain can slide with great ease and are also easy to fix it. These slide flexing chains are fabricated from a graded material and are in strict adherence to set industrial standards. Owing to our expertise, we also provide these chains as per the specific application requirements of the clients. 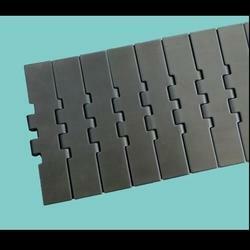 We manufacture thermo plastic side flexing chain that are constructed using quality tested polyacetal. Designed using advanced techniques, these exhibits accurate dimensions, high strength and long working life. Suitable for handling various types of products, these conveyor chains available in different specifications as required by the clients. 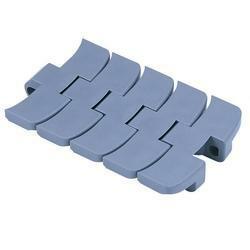 Manufactured using advanced technology, our range of Side Flexing Conveyor Chain are widely appreciated for their application-specific designs and better durability standards. These thermoplastic side flexing chains are available in different specifications to meet the diverse requirements of the client. Further, these are quality tested on various parameters to meet the international industrial standards. Our range of Cap Elevator Chain are known for their high strength, corrosion resistance and better durability standards. These chains are used in inclined conveyors and are ideal for glass bottles, pet containers etc. Being the largest companies, we are involved in manufacturing, supplying as well as trading a wide range of Crate Conveyor Chain. 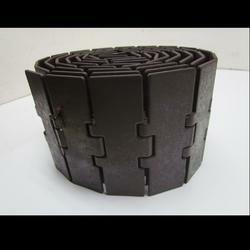 Our offered product is manufactured by our experienced professionals using high grade raw material. Our clientele can avail them at industry leading prices. We introduce ourselves as a noteworthy organization betrothed in manufacturing, trading and supplying Plastic Slat Chains. Our offered slat chain is examined on diverse parameters of quality in order to ensure its flawlessness. This slat chain is high on demand among customers owing to its easy installation quality. We design this slat chain by using modern techniques in adherence to the set guidelines. Our Flat Top Chains are widely used in paper mills for conveying paper rolls and in automotive plants for conveying vehicles for final assembly, mechanical or paint repair, and water test or wash applications. 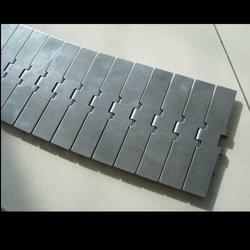 We are manufacturing and supplying of Stainless Steel Slat Chains in India. 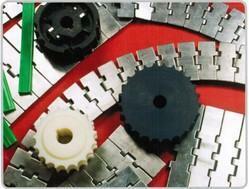 Plate top conveyor chains are an ingenious way of combining the respective advantages of steel and plastic. In plate top conveyor chains, the tensile forces are transmitted via high-quality specially adapted Elite roller chains. The load is taken up by the product mass via plastic flights mounted on the base chain as in accordance with the requirements of the specific task. This allows the dry running characteristics of a plastic-to-plastic pairing to be used. Multi Flex Chains are used for conveying milk cartons in the dairy industry or for elevating or lowering products with the possibility of accumulation. 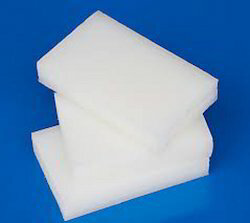 Also used in the preserving and mechanical industries. Additional features include multi-directional flexibility, horizontal or incline/decline, small side flexing radius, high working load, quality construction, long wear life and low coefficient of friction. 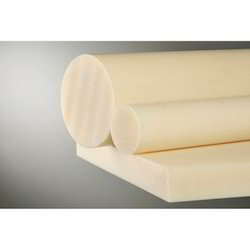 Cast Nylon Rod offered comes in precision designed finish so as to provide for stable sliding support as well as meet the demands of high abrasion and wear resistance. Further, these rods also feature superior damping properties as well as provide for superior machining capabilities.